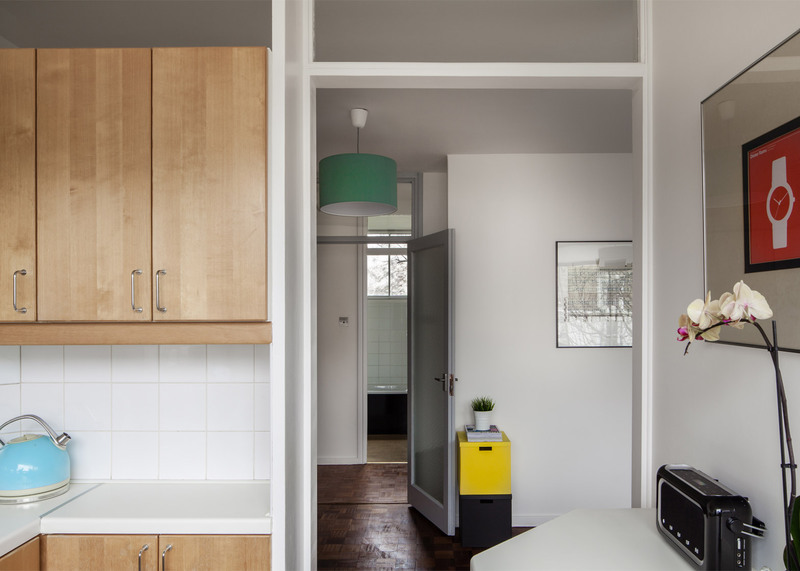 A one-bedroom flat in a 1960s housing block in northwest London has been updated with modern fittings and furniture in this project by designer Adrian Manea (+ slideshow). Manea, who is still studying to become a certified architect, worked to a tight budget of just £12,500 to transform the outdated interior of the 50-square-metre flat, located within Romney Court in Belsize Park. The Modernist building was designed by architects Dinerman, Davison & Hillman, and is one of many purpose-built blocks built across London in the decades following the second world war. Manea believes projects like this can help people understand the potential of post-war housing stock. "I find it somewhat amusing how fixated we can be with period property, and I think it is safe to say that most of us are largely uninspired by new builds," he told Dezeen. "But perhaps for the growing number of Modernist enthusiasts, we are provided with an opportunity to rediscover inspiring architecture by living in it," he said. "Post-war housing has gone through decades of vilification and I would be delighted if this modest project could play a small part in creating a new generation of appreciation." 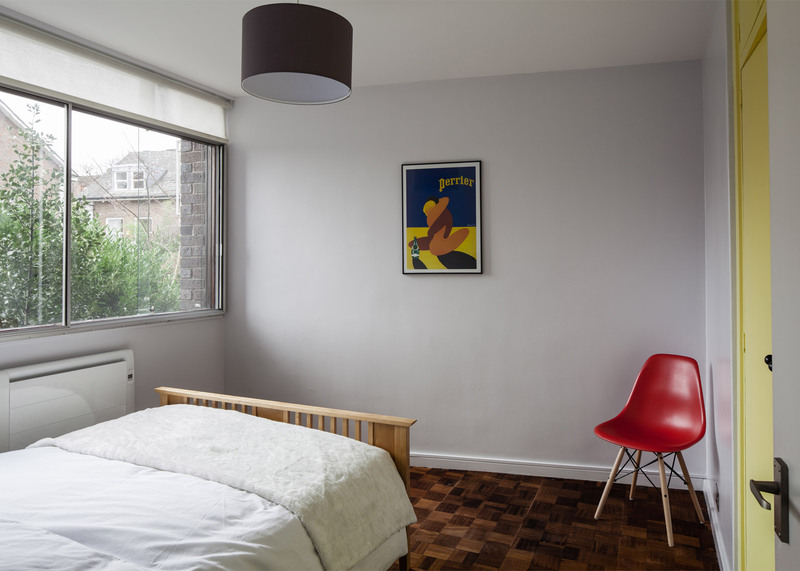 The flat's original five-finger teak parquet flooring was in good condition in the living room and bedroom, as was the cork-tile flooring in the kitchen and bedroom – so these were restored and retained. The cabinets in the kitchen had become tired, but rather than replacing them, Manea chose to repair them. All cupboard doors, side panels and shelves were removed, before being sanded and oiled. 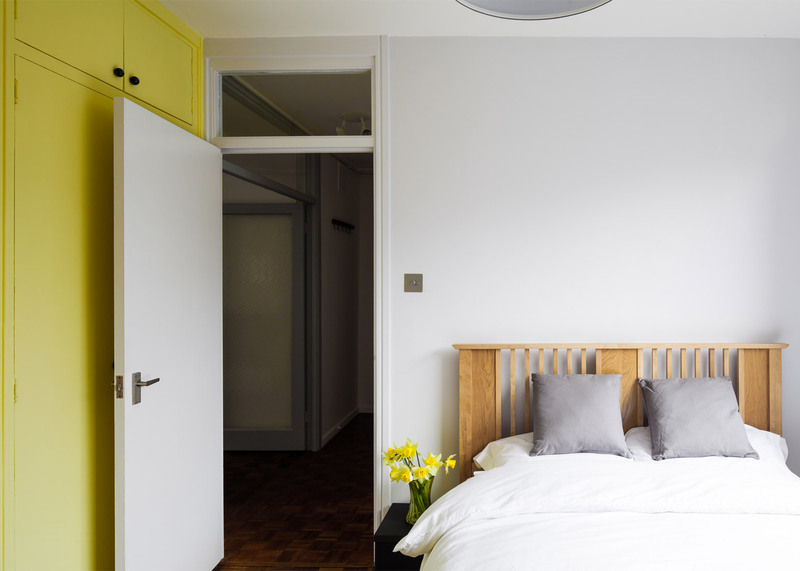 He also restored a sliding door for this room, rather than removing it to create an open-plan layout. "We recognised from the outset that the intrinsic qualities of this block were incredibly charming with its straight lines, built-in cupboards and functional modest spaces," said Manea. 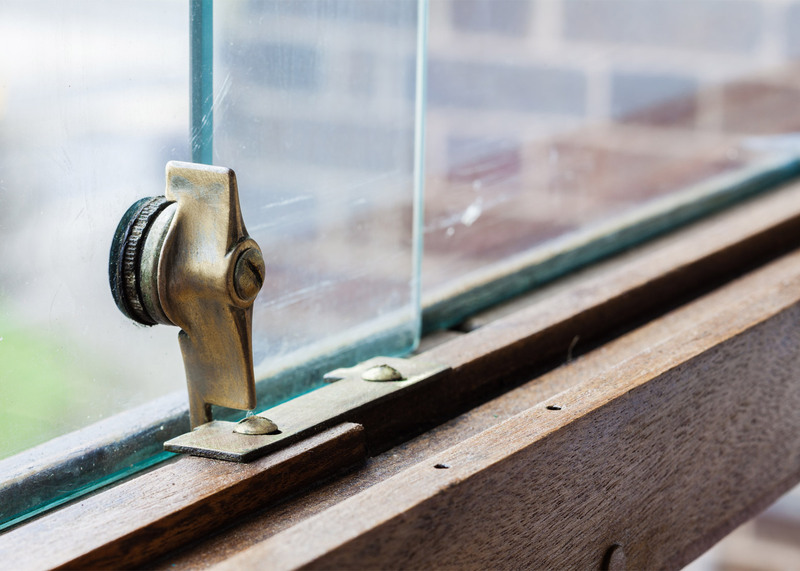 "The brief we set out was to retain and restore the key elements which added to the flat's intrinsic value," he said. Flashes of colour are dotted through the space, as furniture elements, painted doors and accessories. The colour palette is intended to reference the designs of Charles and Ray Eames. "The intention was to contrast the architectural Minimalism of the space with piercing bright colours upon a backdrop of rich natural colours derived from the oiled wood and dark brick," added Manea. Other alterations include an upgraded bathroom, an all-new central heating system and improved glazing. Manea is one of several designers calling for a renewed look at post-war housing in London. 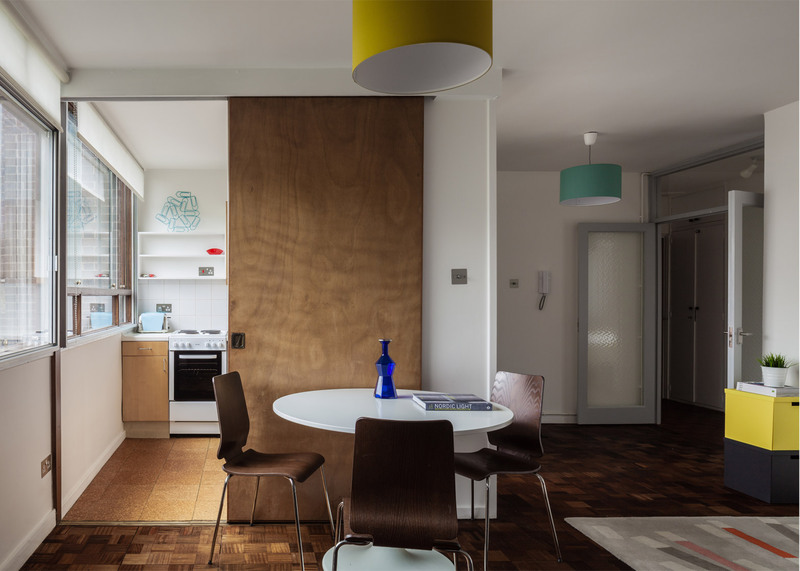 Archmongers recently remodelled and extended a 1960s terrace house in the city, while Maccreanor Lavington has added a new end to an estate built in the same decade. Photography is by Tom de Gay.